This is my current WIP (Work In Progress). It was the cover project for Cross Stitcher Magazine, September 2011, and I fell in love with it when I saw it on the shelves. (You can now buy the pattern direct from the designer, Jacqui P.) It's taken me ages to get around to stitching it, but it's a really satisfying stitch which grows really quickly. I am really pleased with how this project is turning out. The muted vintage colours mixed with the hot pink and turquoise really pop against the ecru evenweave. If you decide to make it, then buy at least two skeins of DMC 640 for the border. My progress to date has used a full skein and there's still plenty of border to go. I'm not quite brave enough to attempt finishing it into a cushion myself--I also have the fantastic excuse of not owning a sewing machine--so I'm going to ask one of the teachers at school (who I help run a sewing group with) to give it the finishing flourishes. Its going to look fantastic when it's finished! Oh wow! This looks so so good- well done! 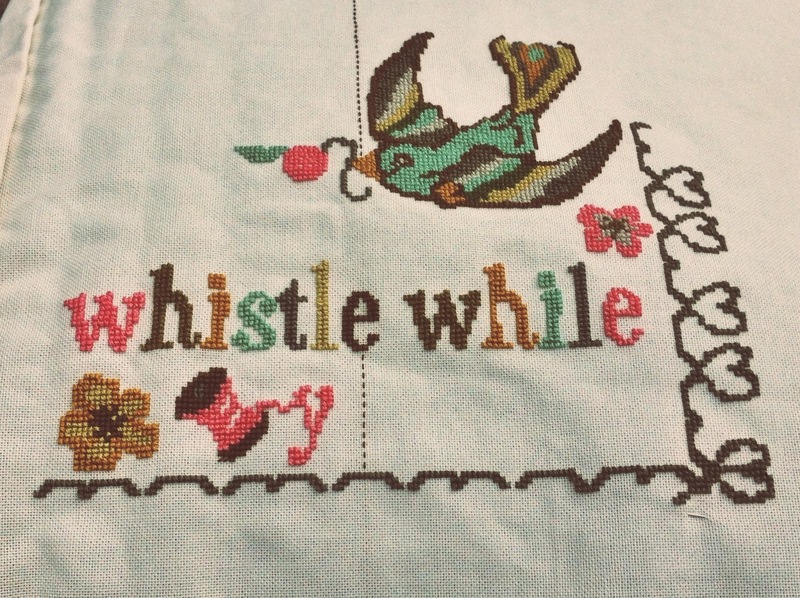 Cross stitching is something I wish I had the patience for because it just looks so beautiful when it's done. Do you have any tips for beginners? Looking forward to seeing the finished product! Tips for beginners...start small. 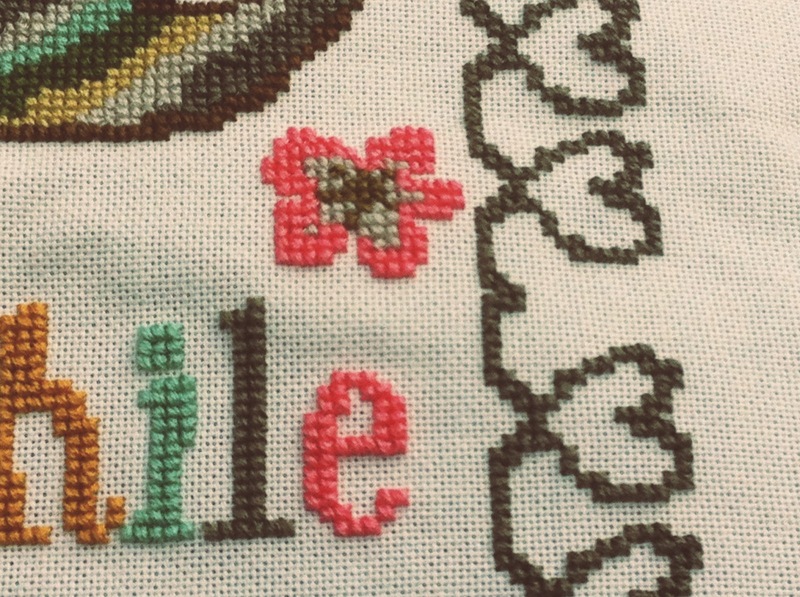 Get a small kit from a craft shop (preferably with the floss presorted) so that you have the gratification of a finished object really quickly! Always find the centre of your fabric before starting, and start stitching in the centre too. Lastly...make a photocopy of your chart and strike out each line/area as you complete it so that you can't go wrong. Thank you so much! It seems so daunting beginning something as intricate but it looks totally worth all that effort! I'll let you know if it goes well (or ends up a complete disaster!) Do you have twitter? © Little Apple Tree | All rights reserved.